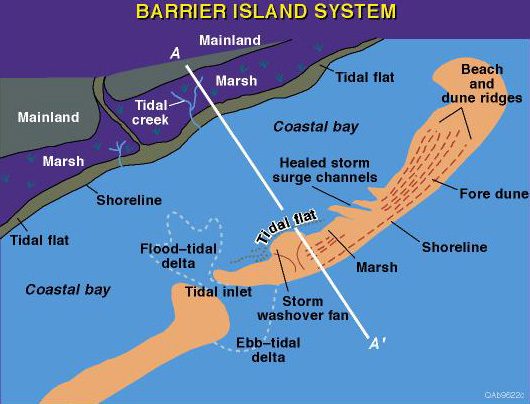 This is a schematic map of geologic environments in a barrier island system. 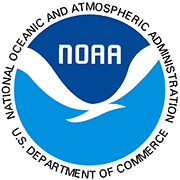 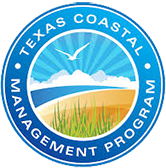 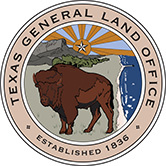 Through the Texas High School Coastal Monitoring Project, students have the opportunity to learn about the formation and dynamics of their island home. 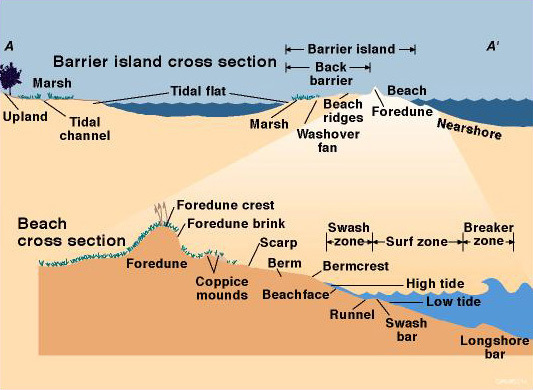 At least three times during each school year, students collect quantitative geomorphic and sedimentologic data that describe the seaward beach, seen in the graphic below.